Liat first learned about medicinal mushrooms when her good friend contracted an immune deficiency disease and was recommended to integrate functional mushrooms into his diet for immune system support. She soon started to carefully pair these functional mushrooms with tasty organic herbs to enhance the flavor and health properties of each mushroom, all-naturally. She strives for her community to enjoy medicinal mushrooms in the same way they have been used for centuries, in a tea, and without any processed ingredients from unknown sources. Nothing brings her more joy than sharing the gift of a delicious mushroom tea that stays true to tradition. Q: What challenges did you face to establish a business in a category new to the (Western) market? A: Many people don't know much about medicinal mushrooms, their health benefits, or long traditions of use in eastern medicine. For that reason, when I’m at festivals or markets, I'm often teaching interested folks about the beneficial properties of mushrooms, and our dedication at Tamim Teas to deliver an age-old authentic mushroom tea experience. Many people also assume that all mushrooms taste the same, but, especially with medicinal mushrooms, that's not always the case. Functional mushrooms like chaga and reishi are actually inedible, taste completely different than culinary mushrooms, and have always been exclusively brewed as a tea for generations. 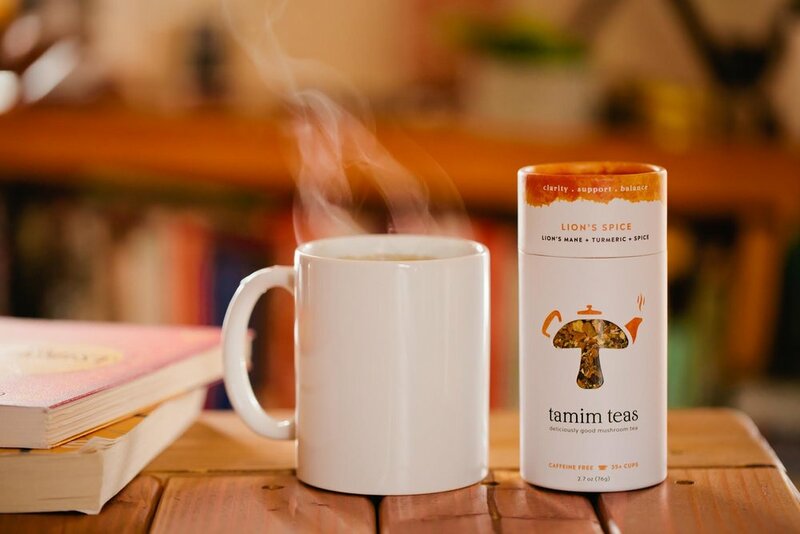 These challenges have become great privileges; it's an honor to bring the ancient tradition of mushroom tea to the lives of many and have their very first sips with Tamim Teas! 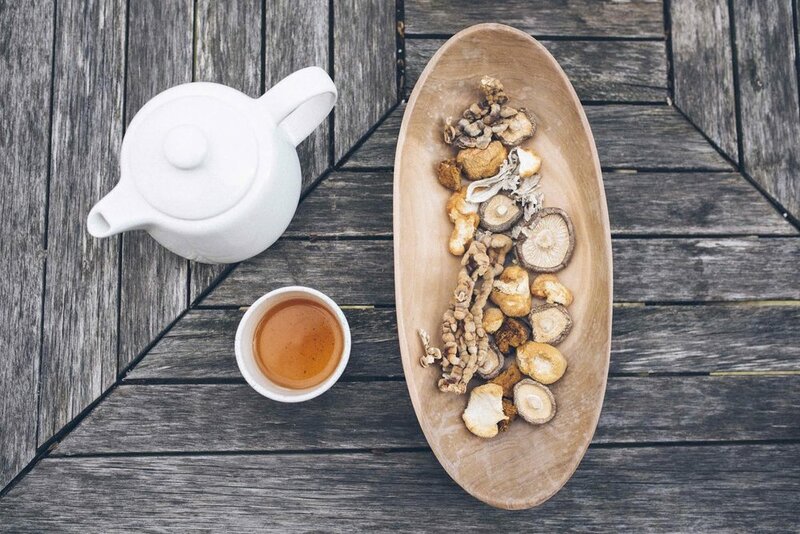 A: Naturally, the most effective mushroom tea starts at the source. 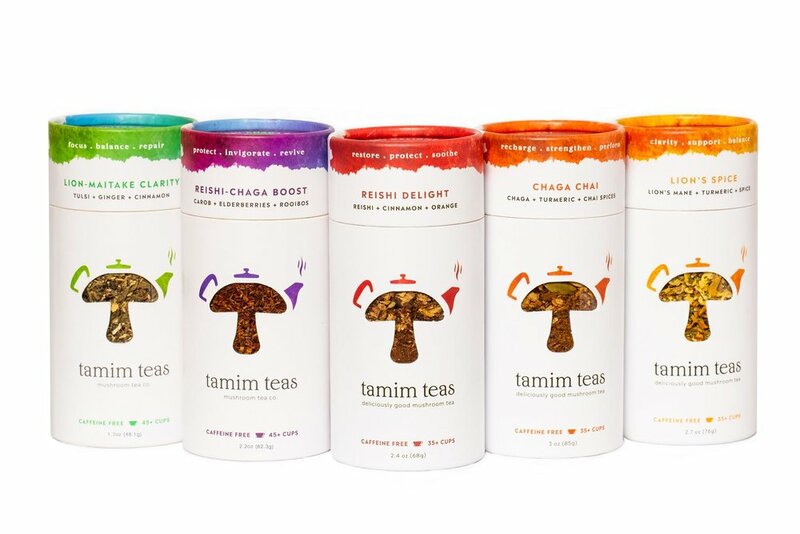 At Tamim Teas, we partner with American family farmers to ensure the best quality organic functional mushrooms. Our mushrooms are also freshly dried - we never use any imported or processed powders. These premium local medicinal mushrooms are important for maximizing health benefits and keeping true to how they have been used and revered for centuries. Q: How did you establish your brand? A: Tamim Teas was born out of a commitment to transparency and a deep respect for nature. Nowadays, medicinal mushrooms are exploding in today's health market. Unfortunately, to meet this demand, many companies have resorted to importing dried mushrooms - not to mention extracts and processed powders - from questionable sources. I knew I wanted to work with organic local mushroom growers who I trusted and shared this dedication. When carefully paired with flavorful organic herbs and spices, I discovered that handcrafted blends can create great tasting flavors, maximize the nutritional properties of each mushroom, and make a delicious experience worth savoring every day. From naturally boosting energy levels to mental clarity and relaxation, each nourishing blend at Tamim Teas offers an unparalleled set of health benefits that simply cannot be found in today's market. Q: How has connecting with the Branchfood community help your business? A: Branchfood is a helpful resource for connecting with fellow entrepreneurs at various stages of business development. In particular, I find the monthly Community Tables to be a great way to network, share experiences and learn from others. Q: What best practices can you recommend to entrepreneurs looking for advisors? A: When searching for an advisor, don't limit yourself to familiar or similar networks. Some of my advisors come from the real estate and clothing industries, and many of their everyday issues and challenges are surprisingly similar in nature. Q: Do you have any other advice for beginning food entrepreneurs? A: Don't give a shiitake! If you have something to share with the world then strive to make it a reality and never give up! A: We recently launched five immune-boosting blends in eco-friendly canisters to create a collectable and iconic new product line. Our loose leaf canisters, both recycled and recyclable, are a signature of the brand. They offer nearly double the amount of tea and feature a front facing window in the shape of our logo, a mushroom teapot. It also underlines our commitment to quality, and I love how it can also be reused for storage and display.